Let’s check if this is worthy or not as Braun claims. This Braun grooming kit comes with 4 combs which will provide 13 precision beard and hair cutting length settings started from 3mm to 21mm. There is also a detail trimmer and a nose trimmer with this package. Powered by lithium-ion rechargeable battery and this battery will deliver 60 minutes of running time per 8 hours of charge. This grooming kit is engineered with lifetime lasting sharp blades. There is also a Gillette pro-glide razor with this package. This razor comes with Flex Ball technology. Sliding hair comb from 13mm to 21mm. There are 4 beard combs included in this package. 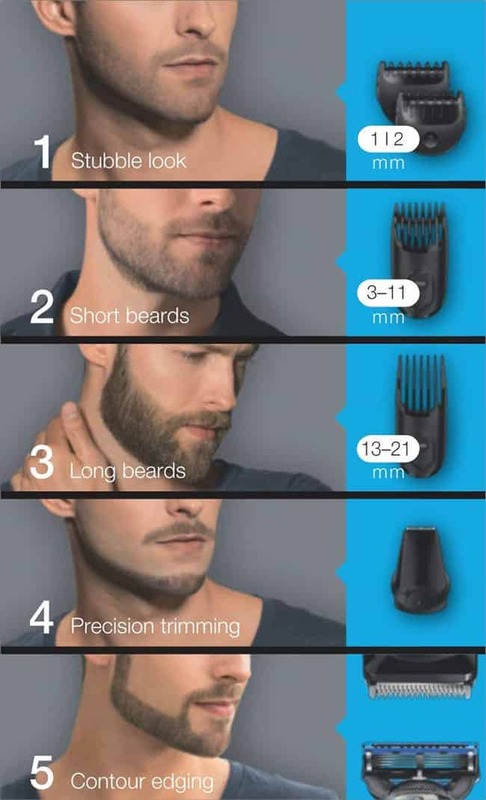 You can obtain any beard style by these 4 precision combs. These combs are for your stubble, short, medium or long beard. Provide your beard a perfect look by using the contour edging trimmer. You can also use the Gillette flexball razor for edging your beard. To cut your hair according to your desired length, just adjust the length and attach the comb. This length started from 13mm to 21mm. There is an ear and nose trimmer to remove the unwanted hair on your nose and ear. This trimmer will provide you such a trimming performance without pulling or tugging hair. 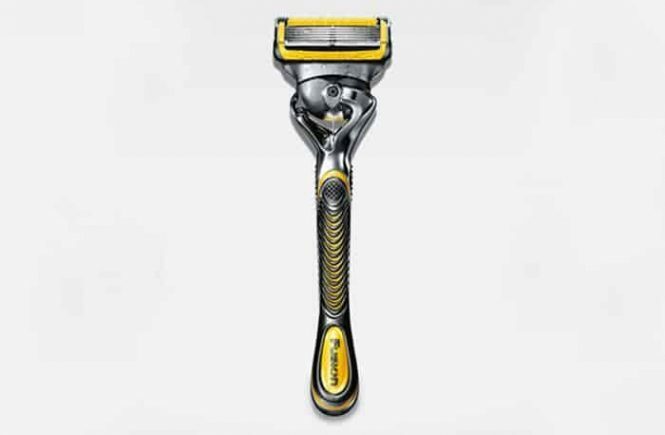 There is a ‘’Gillette pro-glide flex ball razor’’ with this package. 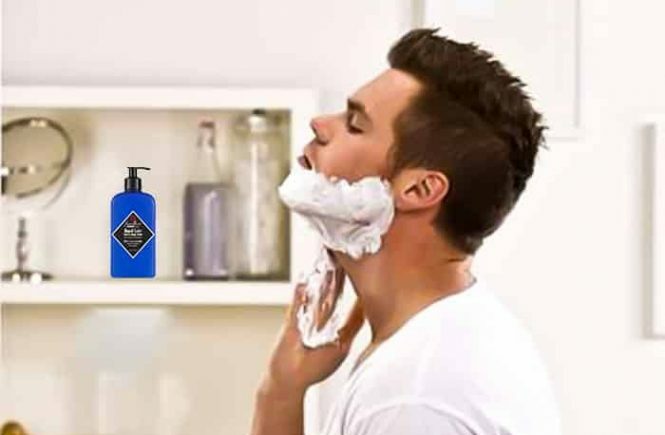 You can do a clean shave through this item. So you can fulfill your all grooming needs by one product. All the attachments of this Braun MGK3060 package are fully washable. The handle is washable up to 5M. Since this machine is washable, the cleaning process is pretty easy. 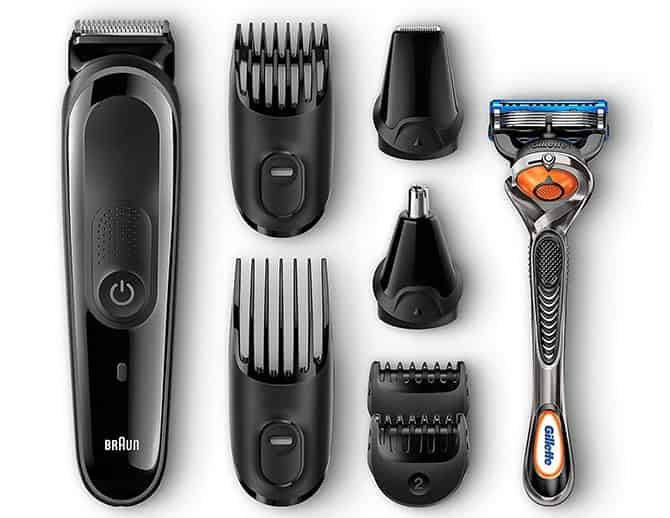 This Braun multi-grooming kit 3060 is engineered with long lasting sharp blades. This sharpness will remain up to lifetime of the blades. Braun claims that these blades will provide such a shaving performance without pulling or tugging hairs. As I’m using this shaver for 1 year, I can not tell you the future about the performance. But still, my blades are sharp enough. This Braun MGK3060 multi grooming kit is powered by 2AA batteries. These batteries will deliver 60 minutes of running time per hour of charge. The battery of the machine may not work rightly under extreme low or high temperature. You will get all the instructions in the user manual. Be sure the machine is switched off before charging. 1st connect the small plug with the groomer then put the power plug into electrical outlet. The battery will take almost 8 hours to be fully charged. When you will connect with electrical outlet, the charging indicator will flash green. After the full charge, the indicator light will turn off automatically. This Braun multi-grooming kit comes with 1-year limited warranty from the purchase date of this product. This warranty will cover if your product damages against the defect of materials or workmanship. But if your product damages for lack of reasonable care, dirt, misuse or abuse, accident, this warranty will not apply. This Braun Multi-grooming kit is engineered with simple and easy functions. 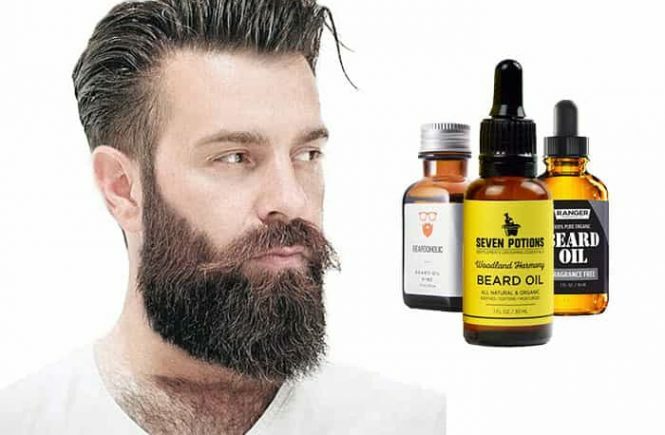 So, It’s very easy to use the trimmer on beards and hair. Let’s check how to use the device perfectly. Be sure, the groomer is switched off. Now place one of the combs on the groomer head. Choose your desired length. Then turn on the machine. To get an optimal trimming performance, move the machine against your beard growth. Trimming will be easy on your dry beard or hair. Gently move the machine and don’t press it too hard over the skin. Before removing the comb from the machine, again turn off it by pressing the ON/OFF button. Clean the machine after every use to get optimal performance. If you want to shape your sideburns, mustache or your beard, use the machine without attachment comb. This attachment will remove the unwanted hair from the nose and ear without pulling or tugging. 1st you have to remove any head from the handle and then adjust this attachment. You can insert the trimmer up to 5CM. Carefully guide the trimmer to trim the hair. Proper cleaning and maintenance will keep your machine long lasting. Since the trimmer and all its attachments are waterproof, cleaning is very easy and fast. 1st turn off the machine. Remove the trimmer head or any attachment from the handle. Brush the head and comb thoroughly to remove the loose hair. Brush the hair chamber of the trimmer. Now rinse the head and comb under the running water, for a hygienic cleaning you can use a bit of liquid soap. The handle is also washable. After cleaning, let them air dry completely. After drying, oil the blades. There is no oil included with this package. You can use sawing machine oil. A bonus Gillette pro-glide razor for clean shave or contour edging. Functions are so easy and simple. The battery quality could be better. No accessories bag for store them. Based on the performance of this groomer, I don’t have any objection. I am really satisfied with its performance. But the battery quality is not good, because I had to replace it after 3 months of use. And there is no display to show the battery status when I need to charge it. The positive side of this grooming kit is, this Braun MGK3060 comes will all the attachments for your grooming needs. So if the battery does not matter to you and the price meets your budget, you can try this one for your all hair grooming needs. But if the battery matters and need more features, you can try the rockstar Philips Norelco Multigroom 7000.